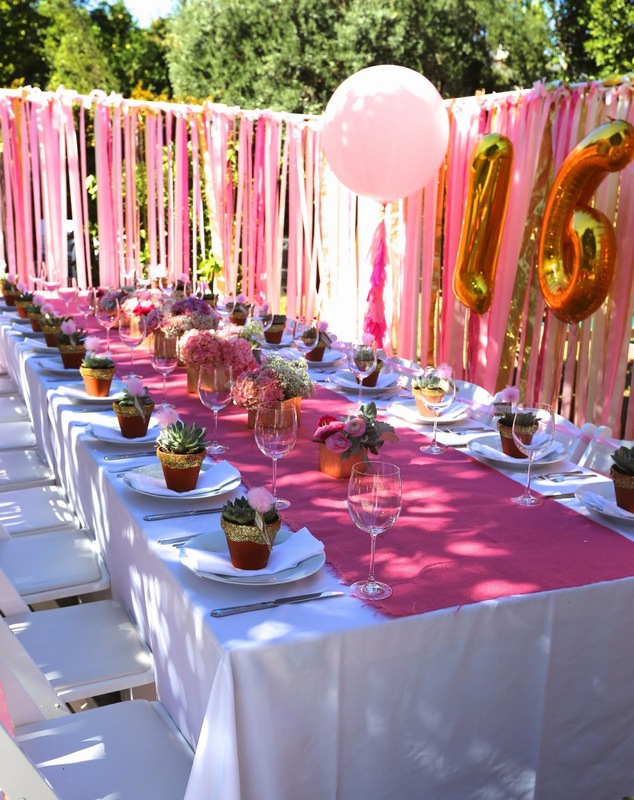 We did a beautiful SWEET SIXTEEN party for one of our very favorite clients this past weekend (this is her fourth COOP Party!!!) 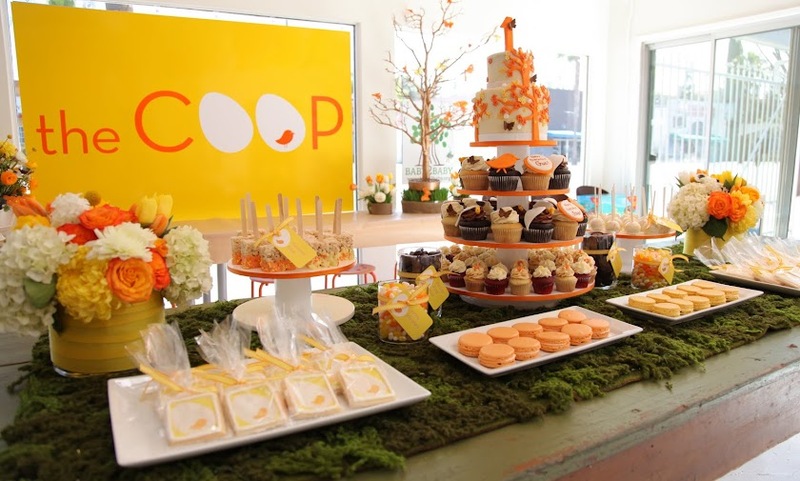 All her previous parties have been AT the COOP -- but this year -- for her milestone 16TH BDay... Isabel chose to have us come and do a COOP AT HOME party for her in her backyard. 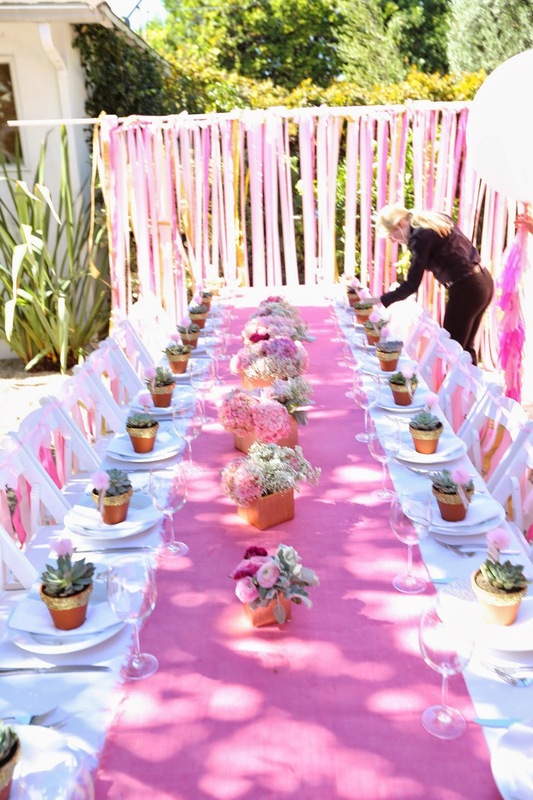 She's the loveliest young lady and we were thrilled to help her celebrate this beautiful afternoon with her girlfriends for a ladies lunch. 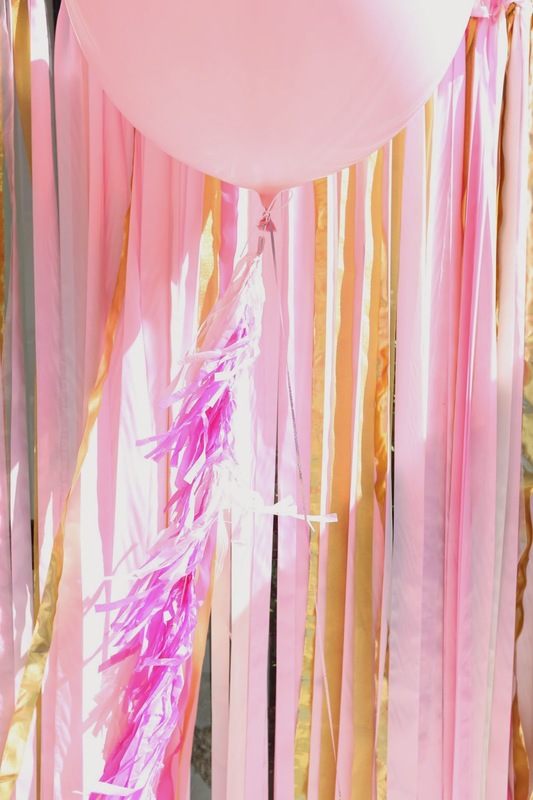 We did 2 walls of ribbon surrounding the table (and blocking the backyard -- making the party scene a bit more intimate).... giant balloons with paper tassels and of course a GOLD 16 Balloon to celebrate. We also hung a few gold glittering pinatas from the tree for a bit of sparkle! 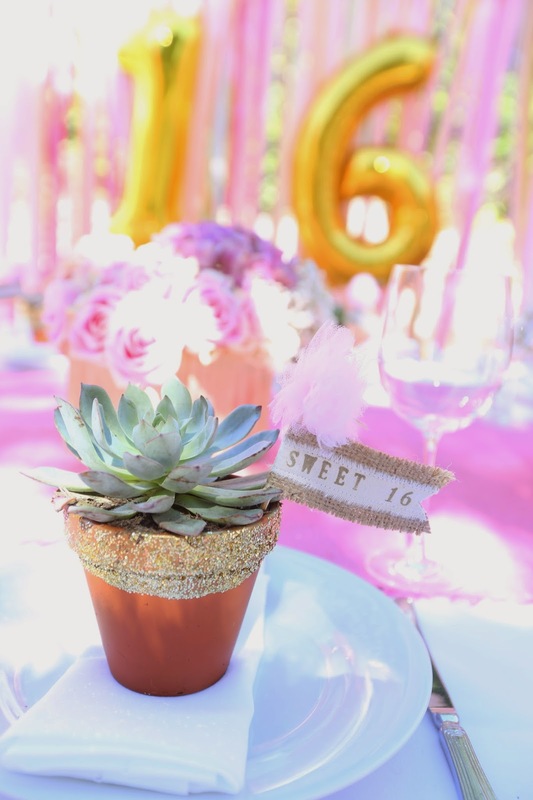 Each of the girls took home a potted succulent... we HAD to fancy them up a bit so we painted the rims gold an then doused them with glitter and added a pink pom-ed pick with a custom Burlap ribbon that read Isabel's Sweet 16 on it. 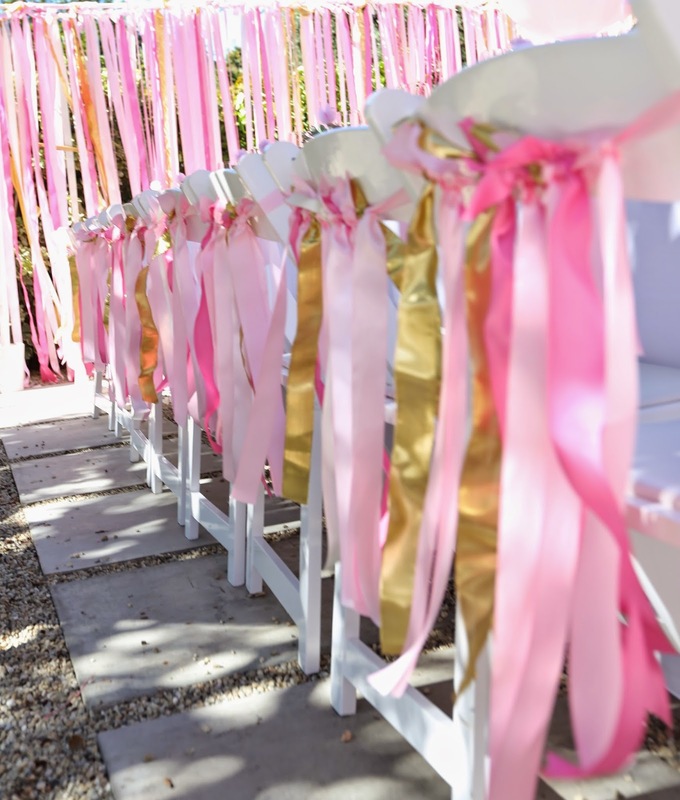 It was a beautiful celebration for a beautiful (inside and out) young lady that we were honored to create!!! Hope you enjoy the pics! !